After a few quiet months, necessitated largely by ill-health and surgery, I was glad to be back in action running a creative writing workshop in Rochdale for the Touchstones Creative Writing Group (TCWG). 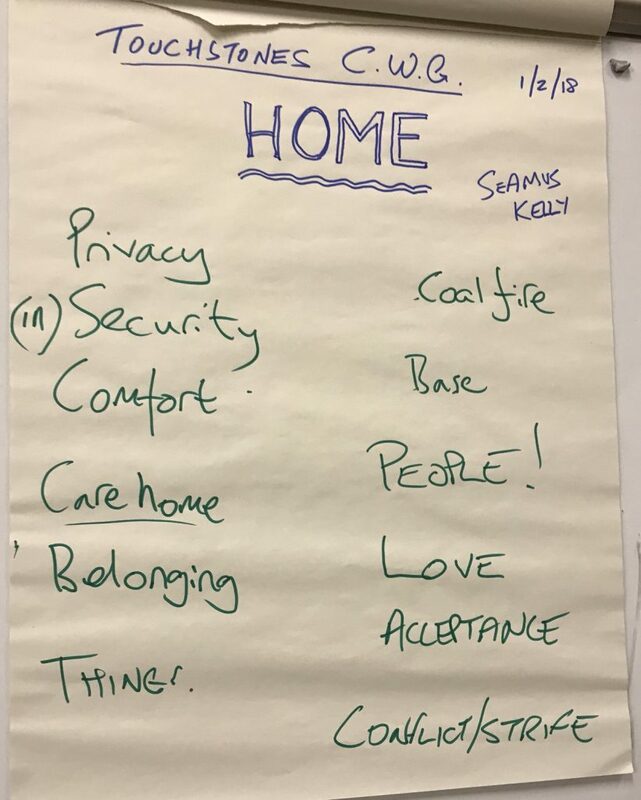 TCWG goes from strength to strength in terms of both quality and numbers and there were and amazing 23 participants at this month’s workshop which I had themed around “Home”. After a couple of introductory poems to provide some inspiration the group were engaged in discussion around the theme to broaden the range of approaches that might be taken when writing relating to the theme for the session. Two writing exercises saw the group fall almost silent as pens rushed across paper to plan and write 23 brand new works. After each exercise a few of the group were able to read some of the work they had just produced and receive verbal feedback from myself and the group. All of the work shared received great support from the whole group and it must be said that there were the makings of some excellent poems and short fiction developed during the afternoon. As usual the range of topics written about and the range of styles were varied and would have been very difficult to predict. This entry was posted in Creative, Events, Facilitation, poetry, Teaching, Workshops, Writing. Bookmark the permalink.